It's here. After months of mystery and, let's just be honest, rather crappy buzz surrounding Solo: A Star Wars Story because it seemed like Lucasfilm was hiding it from us, the first real footage from the film is here. And, yep, it feels like a Star Wars movie alright, and that's what we really needed to see from this brief teaser. Ron Howard took over as director when Phil Lord and Chris Miller were unceremoniously dismissed, while concerns have been that star Alden Ehrenreich doesn't have the goods to replace Harrison Ford as Han Solo. Well, that's like asking Pete Myers to replace Michael Jordan; nobody is going to be truly happy. We see glimpses of Donald Glover as Lando Calrissian, Chewbacca of course, and the Millennium Falcon. 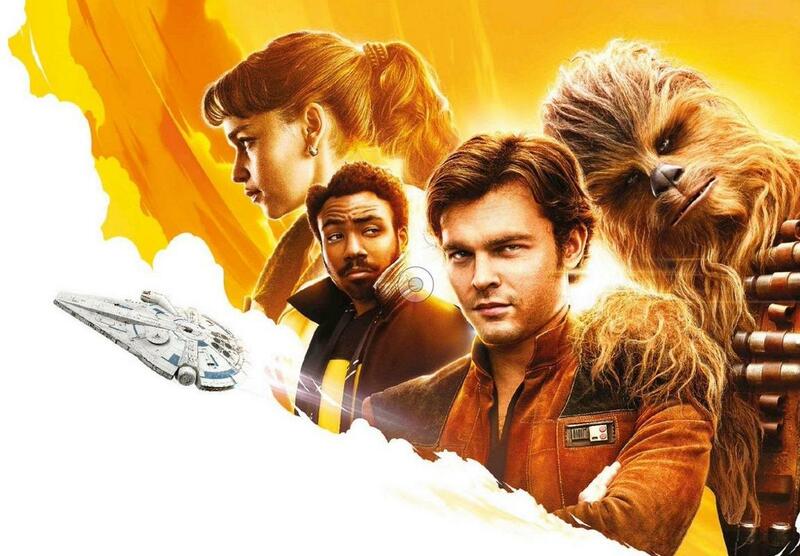 Here's the synopsis: Board the Millennium Falcon and journey to a galaxy far, far away in Solo: A Star Wars Story, an all-new adventure with the most beloved scoundrel in the galaxy. Through a series of daring escapades deep within a dark and dangerous criminal underworld, Han Solo meets his mighty future copilot Chewbacca and encounters the notorious gambler Lando Calrissian, in a journey that will set the course of one of the Star Wars saga’s most unlikely heroes. Also starring Woody Harrelson, Emilia Clarke, Thandie Newton, Phoebe Waller-Bridge, Paul Bettany, and Joonas Suotamo, Solo: A Star Wars Story opens May 25th. A full trailer will be revealed tomorrow!